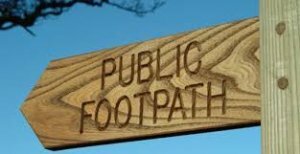 The Cambridgeshire Definitive Map (and Statement) are the legal records of all the county's public rights of way (footpaths, bridleways, restricted byways and byways open to all traffic). The Rights of Way Team are responsible for maintaining the legal integrity of the Map. A Public Right of Way comes under Cambridgeshire County Council who should be contacted in cases of problems.